1. 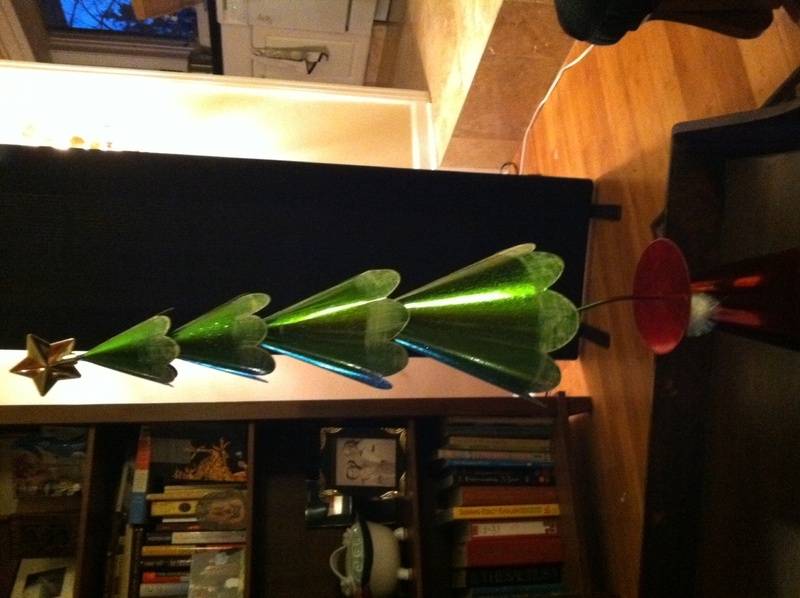 Is this decoration stupid or whimsical? Inquiring minds want to know. 2. Have you ever seen an uglier outfit? 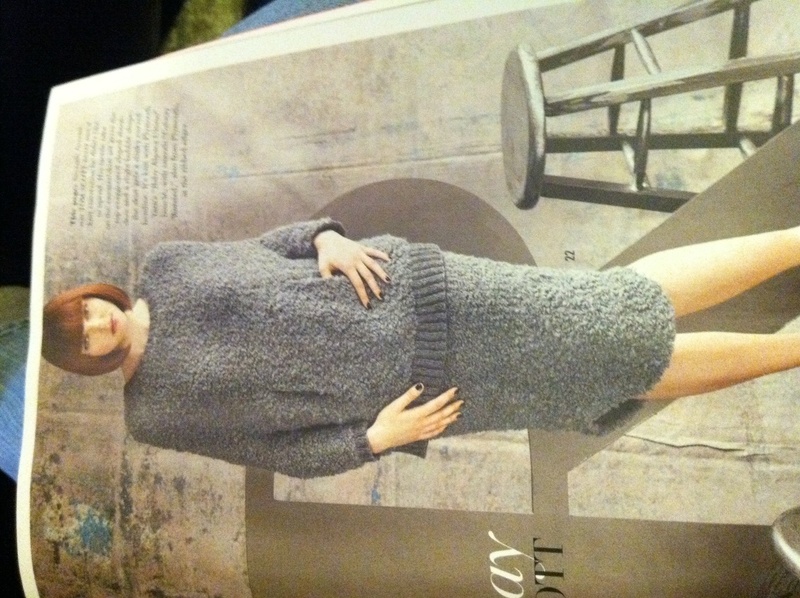 Seems like, if they want you to knit it, it ought not to make the model look like a block of wood. 1. The decoration is indeed quite whimsical and I would definitely use it myself. 2. Why is her head so small? Does that happen if one puts on that outfit? Be careful! 1. The decoration is most definitely whimsical, I love it! Yes, whimsical and minimalist–I like it. It’s funny — the model’s head seems a little small for her body in all of the outfits in which she is modeling, but this is definitely the most extreme. I think this distortion tends to be exaggerated, when your sweater looks like a refrigerator carton. A refrigerator carton in battleship gray.